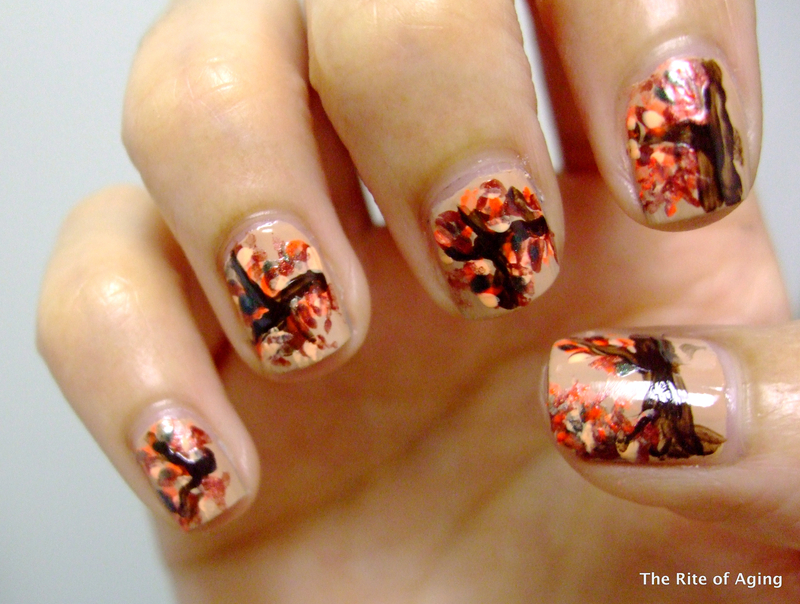 Below is my submission for the second theme in the Nail Art Ideas Link-up hosted by Eeeek! Nail Polish! and CraftyNail! I used two coats of Urban Decay “Naked” as the base. For the detailing I used Milani “Dark Coffee” and “Foxy Lady”; Zoya “Suvi”; Color Club “Wham! Pow!”; and Urban Outfitters “Westside”.